1. Listen– To be successful online nonprofits need to invest time in listening to their constituents, and engaging in authentic conversations. By listening and engaging online nonprofits can create a 1:1 conversation with their donors in a 1:many environment. 2. Learn– Nonprofit organizations should invest time and money in their online programs. They should optimize their websites, create engaging donation forms, invest in integrated programs that include online elements, and they should make sure that their online story is just as (or more) engaging than their in person story. 3. Make in Easy- It is critical that organizations make it easy to engage online. If the basics are covered, they should all be writing blogs, joining forums, providing RSS feeds, and participating in social media. Thus making it genuinely easy (and fun if possible) to interact with their organization online. Take-away: Check out the entire presentation, and please share some of the tips that you are utilizing to engage with your donors online. Check out the entire presentation to learn more tips and tricks for engaging your donors online. 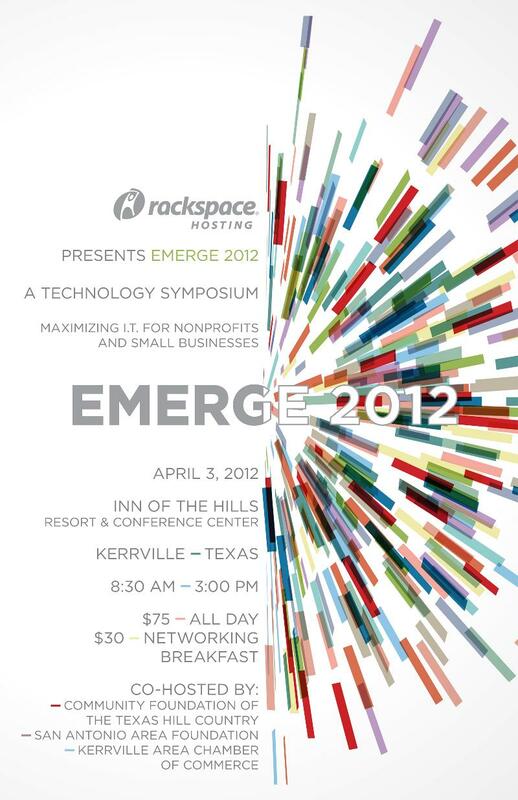 This week I will be presenting at the Emerge 2012 Technology Symposium. The Community Foundation of the Texas Hill Country in partnership with Rackspace Hosting, the San Antonio Area Foundation, and the Kerrville Area Chamber of Commerce is hosting the event that will be offering a look at the latest in innovative technology trends and show casing how they can impact your organization or business with increased revenue. I am particularly excited about this conference because I started my career at the Kerrville Area Chamber of Commerce. I am hoping to see some old friends and share some great information on how attendees can increase loyalty online. Take-away: If you are going to be in the area, please join me!